If you have kids, chances are, you repeat yourself alot throughout the day. From asking them to get themselves ready and out the house to getting them to the dinner table, we sound like a broken record most of the time. 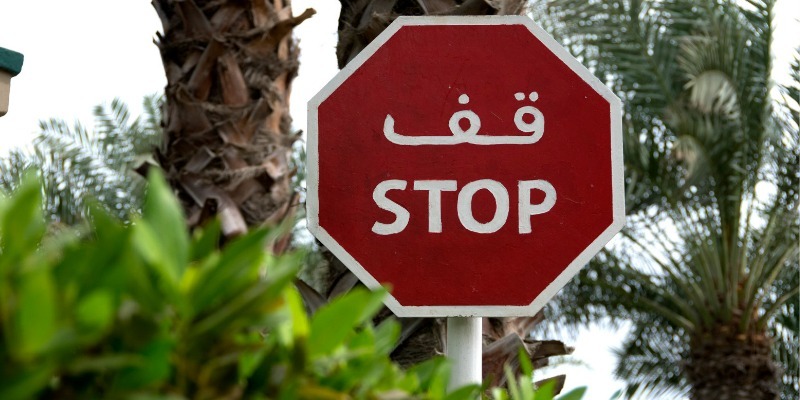 Although it may be annoying to have to remind your kids time and time again to do (or not to do) a particular thing, these “repetitive” interactions make for the perfect opportunity to learn a new language, and in our case, Arabic! We all have to start somewhere, and one of the the best places to start is by going to the mosques that only give the Friday sermon in Arabic, and socializing more in communities where they only speak Arabic. You and your child will benefit tremendously from consistently hearing the language spoken in different settings. Find activities for your children so that they can practice their new skills, like going to a restaurant that serves middle eastern food. This experience can also double up to teach them about the culture (which is interrelated with the language). Start with baby steps. Obviously, you are not going to have a deep discussion about the quran from day 1, especially if you are just putting your feet in the water. You can start by incorporating a few words each day, even if it’s not in complete sentences, so that you can start expanding your and that of your child’s vocabulary. For example, if you are at a zoo, you can ask your child, “What animal is that?” or if you feel comfortable, “ma hatha alhayawaan” ( ما هذا الحيوان؟ )Then you can direct your child (assuming he/she doesn’t know) to the correct answer… “It’s a zaraafa,” or ” انها زرافة ” (innaha zaraafa). Let’s say, you haven’t memorize the arabic word for giraffe to answer your own question lol. Well, the good news is you don’t need to anymore! With google translate at your fingertips (kudos to the new audio feature! ), you can find out in no time, and appear to be somewhat knowledgeable 😉 . Don’t be afraid to make mistakes! Often times, you will find children learning language much faster than adults because they tend to be less self-conscious than us and much less afraid to make mistakes. Although, ideally we want to be able to be fluent, before we start speaking a language to our child, we will never learn it, if we don’t practice (so it’s kind of like a catch-22). It’s ok to make mistakes, and correct yourself as you move along. Be consistent. It’s hard to stay on task, especially with things we find more challenging, but because consistency and repetition are key to learning languages, push yourself to speak a little bit Arabic each day, for your child’s sake (and your own). You will need to learn the common phrases you use everyday, translated into Arabic (you can use google translate) but keep in mind that you will need to modify the verbs a bit depending on whether you are speaking to a boy(male), or a girl (female). If you have a friend that is a native speaker, enlist her help. Since google translate will sometimes translate things a bit too literally for longer phrases, it’s important to get a second input. Here is an example of some common words and phrases you will most likely use in the morning with your child. The letters in parenthesis are the letters you will need to add if you were speaking to a girl vs. a boy. Generally, you will need to add a “i” at the end of each imperative verb when speaking to a girl, and an “a” or “at” at the end of the adjectives when speaking to a girl. Speaking Arabic with your child allows you to hone in on your Arabic skills without the pressure and fear you may feel in front of an outsider. The sooner you start, the more you can inshaAllah capitalize on your child’s innate ability to learn languages (which will decrease with time). Since all Muslims should make an effort to learn Arabic for the sake of our religion, why not start your Arabic learning journey today? JazakAllah Allah Khair for such an amazing post really loved everything. There is so much to learn and I can’t wait to teach my children in sha Allah. Will DEFFO be visiting your site for tips!! Wa iyaaki, dear sister. Alhamdullilah you found it beneficial 🙂 InshaAllah, we will be rolling out more conversational pieces, so please do check back regularly 😉 JazakAllahu Khair for your feedback! This is the best blog.ever. Barakallaahu feeki for your efforts, sisters. I am loving the content so far… trying not to binge read in one sitting and neglect my family lol. Another great article – ma shaa Allah! I love how you provide us with clear, concise and practical guidance in a brief amount of reading time. So true what you say about kids being able to soak up another language – the earlier the better. In shaa Allah will attempt to learn some of the phrases you’ve presented!